The Executive Committee (EC) is the core team of ART and responsible for communication and coordination of the overall ART mission and longterm strategy, and for granting an active, interdisciplinary and international ART network. The EC consists of permanent roles for Chair/Co-Chair, Communication/Dissemination, Conferences/Workshops, Publications, and Proposals. To guarantee the early career character of ART the effective time in the EC is four years with renewal every second year. Nathalie Morata is a research scientist in marine ecology at the Laboratory of Marine Sciences (LEMAR), in Plouzané, France. Her research interests include the use of field observation and manipulative experiment to address issues related to carbon cycling and organic matter fluxes to the seafloor. 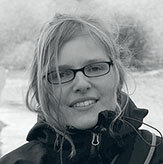 She is currently the PI of the French project “ECOTAB” (Effect of Climate change On The Arctic benthos), aiming to investigate how climate-induced changes in biological (food sources) and environmental conditions (pH, temperature, salinity) will impact the Arctic benthos in Kongsfjorden, Svalbard. Allison Fong is a postdoctoral scholar in the Polar Biological Oceanography Section of the Alfred Wegener Institute. She works at the interface of marine biogeochemistry and molecular ecology to identify mechanistic underpinnings of scales of oceanographic patterns in carbon, nitrogen, and microbial diversity. Her research is centered on elucidating connections between microorganisms, the geochemical processes they catalyze, and the roles these interactions play in organic matter cycling. She is particularly interested in how particle-associated consortia and processes shape our conceptual models of marine biogeochemistry and ecology. Additionally, she has extensive professional service experience as a former elected board member of the Association for the Sciences of Limnologyand Oceanography (ASLO) and currently, as an Early Career Fellow in the Marine Working Group of the International Arctic Science Committee (IASC). Helen Findlay is a Research Scientist at Plymouth Marine Laboratory in Plymouth, UK. Her research combines observations, experiments and models to investigate the impacts of ocean acidification and climate change on marine organisms and ecosystem function. Her recent work has involved investigating carbon biogeochemical cycling in the high Arctic in seawater and under sea-ice, with a focus on assessing the relative contribution of biological, physical and chemical processes in impacting the seasonal cycle. Chris Horvat is a polar oceanographer based at the National Institute of Water and Atmospheric Research in Wellington, NZ, and is a Voss Postdoctoral Fellow and NOAA Climate and Global Change Fellow at Brown University and Harvard University. His research is motivated by the need to understand and model links between small (below the climate model grid) and large scales in Earth climate system. This includes developing of a model for the sea ice floe size and thickness distribution, and examining how floe sizes couple with ocean eddies to influence the melting of sea ice. In addition, he focuses on modeling phytoplankton blooms that occur underneath regions covered by ice and the impacts they have on polar ecology. Kathrin Keil is Scientific Project Leader at the Institute for Advanced Sustainability Studies (IASS) in Potsdam, Germany, where she leads the Arctic research project GloCAST (Global Change and Arctic Sustainable Transformations). GloCAST uses the Arctic as a prominent case to illustrate interrelations between global and regional change processes and between stakeholders from within and outside the Arctic. 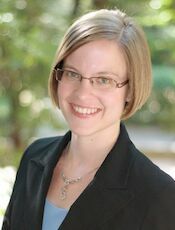 Kathrin received her Ph.D. in Political Science from the Freie Universität Berlin in 2013. In her dissertation she researched the international politics of the Arctic, with a focus on international regimes and institutions in the areas of energy, shipping and fishing. She is Senior Fellow of The Arctic Institute – Center for Circumpolar Security Studies where she regularly writes about and comments on current Arctic developments. Further, Kathrin is part of the German observer delegation to the Sustainable Development Working Group (SDWG) of the Arctic Council. 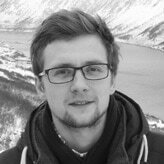 Alexey Pavlov is a physical oceanographer by training and is currently a sea ice postdoctoral researcher at the Centre for Ice, Climate and Ecosystems (ICE), Norwegian Polar Institute in Tromsø, Norway. Alexey has worked on linkages between physical, biogeochemical and biological processes in the Arctic Ocean, and particularly on marine optics and contribution of dissolved and particulate matter to the absorption of light in surface waters of the Fram Strait. His ongoing work focuses on interaction between solar radiation and sea ice in the Arctic Ocean within a project STASIS and a EU-funded project ICE-ARC. In the meantime, Alexey blogs about polar research on Twitter at @mvpgeo. Allyson Tessin recently defended her PhD in Geology at the University of Michigan. Her PhD research focused on intervals of enhanced organic carbon burial in shallow marine environments during the Cretaceous (~86 million years ago) to assess how the marine carbon cycle changed under greenhouse climate conditions. This work involved investigating changes in reactive iron availability, redox conditions, organic matter preservation and nutrient recycling. This fall, Allyson will begin a Marie Curie fellowship at the University of Leeds, United Kingdom to study carbon and nutrient cycling in the Arctic Ocean over the last ~150 thousand years. 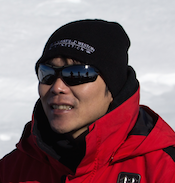 inyoung Jung is a chemical oceanographer and a senior research scientist at Korea Polar Research Institute (KOPRI). During his PhD at the University of Tokyo, he worked on atmospheric nitrogen deposition and its impact on marine ecosystem. 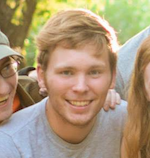 His current research focuses on investigating the impact of environmental change on the biogeochemical cycles of dissolved and particulate organic matters and nutrients in melt ponds and seawater of the Chukchi Sea. This project ist part of the multi-disciplinary, international research project Korea-Arctic Ocean Observing System (K-AOOS). The ART advisory board is composed of senior scientists, some of them were also previous EC members. The role of the advisory board is to advise the ART EC in all scientific, political, and logistic questions, but also to point out opportunities like cruise participation, workshops or job openings of interest to the ART network. A geologist by training, Christian März is appointed as Associate Professor in Biogeochemistry at the School of Earth and Environment, University of Leeds. His main fields of interest in the Arctic encompass present and past cycles of various chemical elements in marine waters and sediments, including nutrients like phosphorus and silicon, and metals like iron and manganese. With an aim to understand both present-day processes at the Arctic seafloor and past environmental conditions reaching back almost 100 million years ago, Christian and his students and Postdocs analyse sediments and their pore water from various parts of the Arctic Ocean and North Pacific using a wide range of inorganic geochemical methods. Over the last years, Christian participated in several major research expeditions to the high northern latitudes onboard the German icebreaker Polarstern and the IODP drillship JOIDES Resolution, including the TRANSSIZ Expedition north of Svalbard organised by ART in 2015. Monika Kędra is an associated professor at Institute of Oceanology Polish Academy of Sciences (IOPAN), Sopot, Poland and is a former chair of ART. Monika is marine ecologist with over 10 years of experience in studying benthic ecology and climate change pressures on the Arctic marine ecosystems functioning. Her work focuses on the benthic population dynamics, biodiversity and food webs. She is interested in carbon cycling and ecosystem productivity. Recently, she has been studying the effects of sea ice retreat on the primary production patterns shifts and its consequences for the related pelagic-benthic coupling processes and food webs. 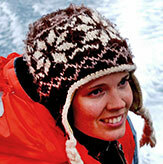 She has been working in both Pacific and Atlantic sectors of the Arctic Ocean. 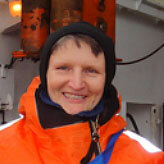 She is an active member of Marine Working Group IASC and an MWG IACS liaison officer for Antarctic Thresholds - Ecosystem Resilience and Adaptation (AnT-ERA), SCAR Scientific Research Program. 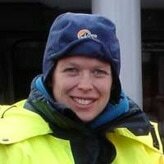 Marit Reigstad works at the Department of Arctic and Marine Biology, University of Tromsø, Norway. Her scientific focus is carbon cycling through pelagic-benthic coupling and regulation of vertical flux of organic material by organisms at lower trophic levels, and through physical forcing. Methods include short-time sediment traps, pelagic plankton communities, with characterization of organic matter though microscopy and biochemical analysis. A combination of field investigations and process-oriented experiments has been useful to reveal mechanisms behind retention patterns and composition of organic material as seen in sediment traps deployed with high vertical resolution. She has experience from several investigations in the Barents Sea, studying the impact of ice and environmental conditions on productivity and pelagic-benthic coupling. She has also been responsible for the biological program in the IPY project "iAOOS Norway" with investigations on the East-Greenland shelf in the Fram Strait. At present, she leads the CONFLUX project, focusing on the role of different organisms on degradation processes in the upper water column (>200 m). Experience from coastal regions, fjords and the Arctic. Cooperation with ecosystem modelers to investigate productivity and fate of primary production related to the ecosystem composition on larger time- and spatial scales. 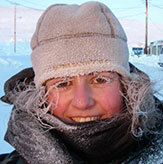 Ilka Peeken is a research scientist at the Alfred Wegener Institute. Her research involves particle transport in the ocean and its reflection in marine sediments, the role of iron in biogeochemical cycles and biological sources of climaterelevant trace gases in the ocean. Recently she focused on the effect of climate change on polar marine sea ice biota and related ecosystems in the Arctic Ocean, with special emphasis on the Central Arctic and the Fram Strait. During field campaigns she studies how the dramatic reduction in sea ice cover and thickness will affect sea ice biota and thus cryo-pelagic and cryo-benthic coupling. Kirstin Werner has worked as a postdoctoral fellow in paleoceanography at the Byrd Polar Research Center in Columbus, Ohio (USA). During her PhD and postdoc at GEOMAR (Kiel, Germany) and INSTAAR (Boulder, USA) she studied high-resolution sediment cores from the eastern Fram Strait in order to understand the variability of heat transfer to the Arctic Ocean and corresponding changes of the sea ice extent during the past ca 10,000 years including a strong warming event in the present, anthropogenically influenced period. Now based at Alfred Wegener Institute in Germany, Kirstin is working as the project officer in the International Coordination Office of the Polar Prediction Project (polarprediction.net) which will be organizing the Year of Polar Prediction (mid-2017 to mid-2019). Are you interested to support ART and become a member of the ART advisory board? Great! Just get in touch! Everybody who visits our web- or Facebook page, follows us on twitter, or who participates in ART activities like our sessions, workshops, or cruises, is part of the ART Network. So the ART network is YOU! If you want to become a part of the ART network, stay informed about our activities, or get involved, use our social media channels or subscribe to our mailing list!